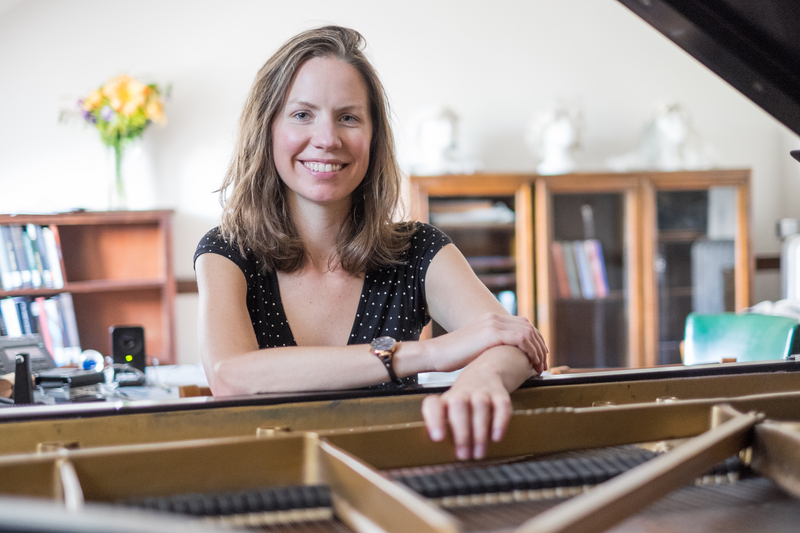 Kate Soper is a composer, performer, and writer whose work explores the integration of drama and rhetoric into musical structure, the slippery continuums of expressivity, intelligibility and sense, and the wonderfully treacherous landscape of the human voice. She has been hailed by The Boston Globe as "a composer of trenchant, sometimes discomfiting, power" and by The New Yorker for her "limpid, exacting vocalism, impetuous theatricality, and mastery of modernist style." A Pulitzer Prize finalist, Soper has received awards from the Guggenheim Foundation, the American Academy of Arts and Letters (The Virgil Thomson and Goddard Lieberson awards and the Charles Ives Scholarship), the Koussevitzky Foundation, Chamber Music America, the Lili Boulanger Memorial Fund, the Music Theory Society of New York State, and ASCAP, and has been commissioned by ensembles including the Los Angeles Philharmonic, the American Composers Orchestra, and Yarn/Wire. She has received residencies and fellowships from the Civitella Raineri Foundation, the Radcliffe Institute for Advanced Study, the Camargo Foundation, the Macdowell Colony, Tanglewood, Royaumont, and Domaine Forget, among others. Praised by the New York Times for her "lithe voice and riveting presence," Soper performs frequently as a new music soprano. She has been featured as a composer/vocliast on the New York City-based MATA festival and Miller Theatre Composer Portraits series, the Chicago Symphony Orchestra's MusicNOW series, and the LA Philharmonic's Green Umbrella Series. As a non-fiction and creative writer, she has been published by Theory and Practice, the Massachusetts Review, and the Journal of Interdisciplinary Voice Studies. Soper is a co-director and performer for Wet Ink, a New York-based new music ensemble dedicated to seeking out adventurous music across aesthetic boundaries. She teaches composition and electronic music at Smith College.